Waxed polyester twine in a variety of colours and sizes. Reel size No. 2 holds 0.5mm diameter x 92 metres of whipping twine. Reel size No. 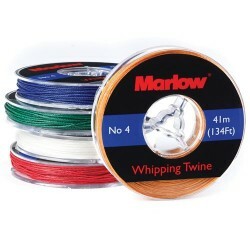 4 holds 0.8mm diameter x 41 metres of whipping twine. Reel size No. 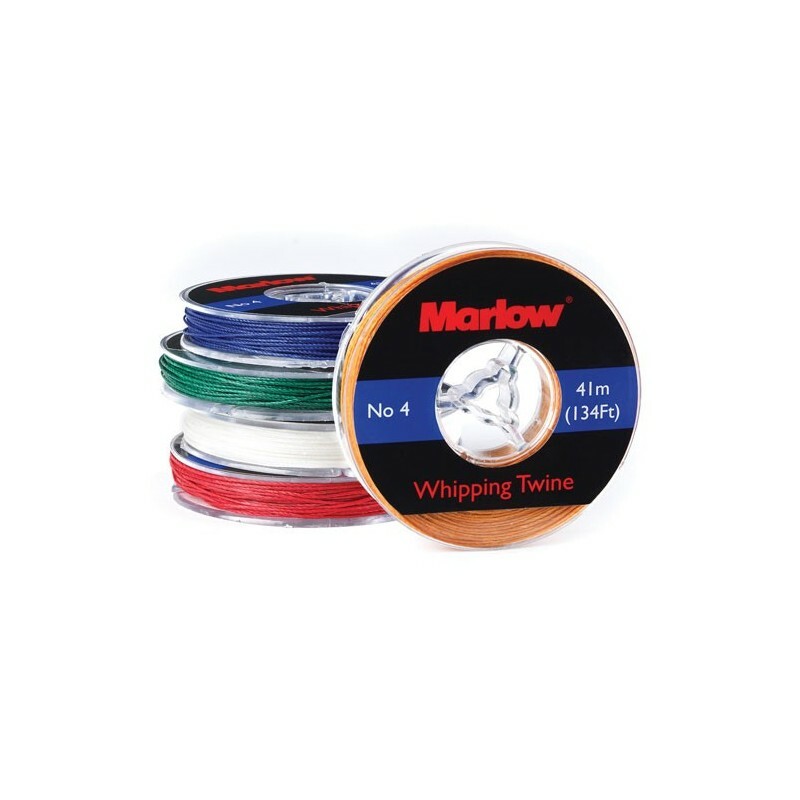 8 holds 1.1mm diameter x 23 metre of whipping twine.